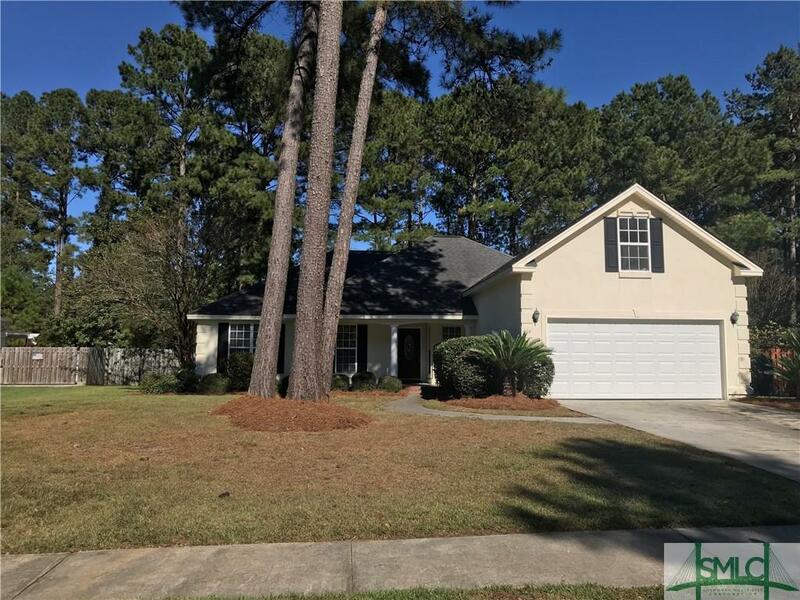 This beautiful home is quietly tucked away in one of Pooler's finest neighborhoods. Inside you will find a split floor plan with an upstairs bonus room that could be used as a fifth bedroom. The spacious great room includes hardwood flooring and a fireplace. A master suite includes garden tub, separate shower, walk-in closet and double vanities. The fenced backyard with private buffer provide a perfect place to entertain your family and friends. Conveniently located in the Copper Village neighborhood of Godley Station and close to neighborhood shopping, entertainment and restaurants. A community pool, tennis and basketball court and dog park are just a few of this neighborhoods many amenities.